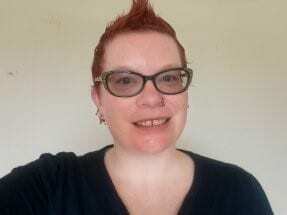 Suzy has over 25 years of experience working in social care and until recently was a registered social worker in New Zealand having previously practiced in the UK. Suzy has experience in managing services and staff, returning to direct practice with the realisation her passion lies with face-to-face working and training others. She has worked with many different groups with a particular interest in mental health, personality disorders, alcohol and drug use, gender identity and sexuality, offending and violence, safeguarding adults and children. Suzy has always worked with families, vulnerable adults and children with a focus on empowering individuals and families, passing on problem solving strategies and skills to enable self-growth and reduce the need for services in future. Suzy is now an experienced AMINZ accredited FDR mediator, using her skills to assist families to resolve their disputes. She is experienced in solo and co-mediation, face-to-face and shuttle models as well as alternative dispute resolution. Working with diverse ethnic and cultural communities in the UK and New Zealand, Suzy is attentive to diversity ensuring a sensitive adaptable service is available for all. Her approach is to support parties impartially to find their own answers in a supportive, confidential, neutral environment. Using her creative approach to finding solutions that work in the real world, Suzy mediates complex situations with families, health and social care agencies and others whilst always ensuring the best interests of the child/ren are the focus. An experienced child inclusion practitioner, Suzy believes children’s voices need to be heard and incorporated into family dispute resolution. Her background working with vulnerable individuals and families and social work training focused on child development makes her an ideal candidate to hear from children and feedback into mediations. Suzy is trained and experienced in a number of therapeutic interventions including Cognitive and Dialectical Behavioural approaches, Mediation, Family Systems approach, Motivational Interviewing, solution focused, person centred, task oriented working. She is committed to providing a quality service and equal opportunities to all and is a firm believer that every individual is the expert in their own life and circumstances, already possessing the knowledge and skills to resolve problems. Sometimes we all need support and that support is here for you.